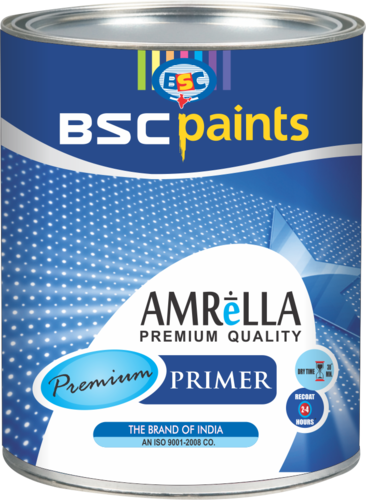 BSC Primers ensures better adhesion of paint to the surface, increases paint durability, and provides additional protection for the material being painted. 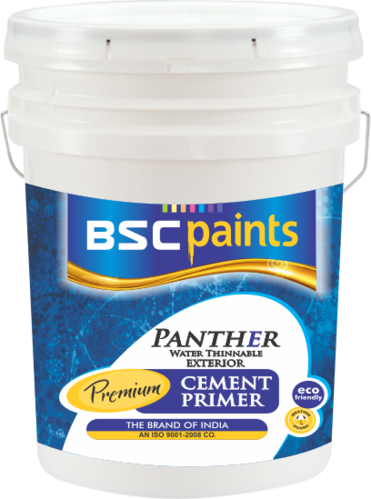 BSC Panther Exterior Wall Primer is a water-based wall coating suitable for application on exteriors as an undercoat to exterior emulsions. It provides excellent opacity and whiteness and Improves appearance of top coat. It can be applied on adequately cured fresh plaster, and does not require curing with water. It provides excellent adhesion to top coat emulsions and prevents peeling off of top coat emulsions. 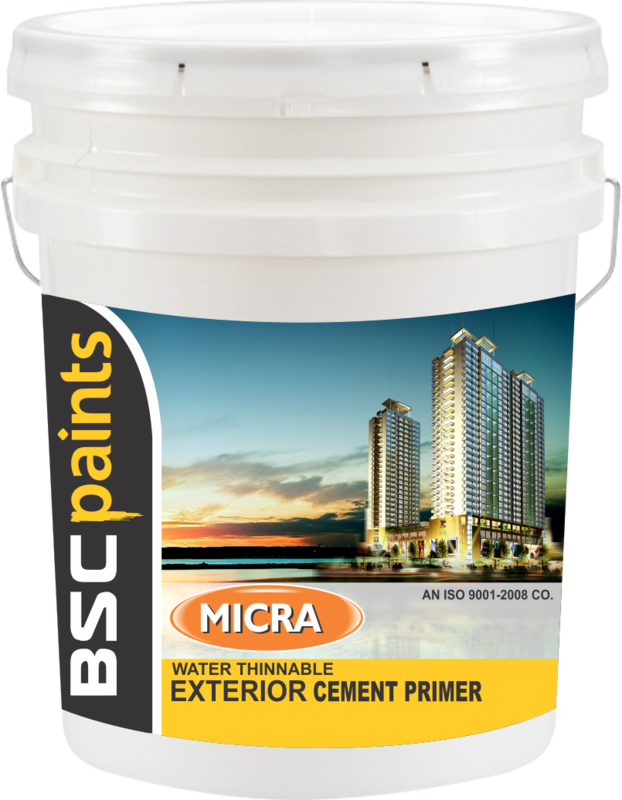 We are the renowned manufacturer and supplier of quality approved Interior Cement Primer that ensures better adhesion of paint to the surface, the offered primer is tested in terms of quality so as to supply a flawless range. This primer is processed under the direction of our experts by using pure chemicals and leading technology accordingly with quality standards. Offered primer is available at reasonable rates from us in bulk quantity. 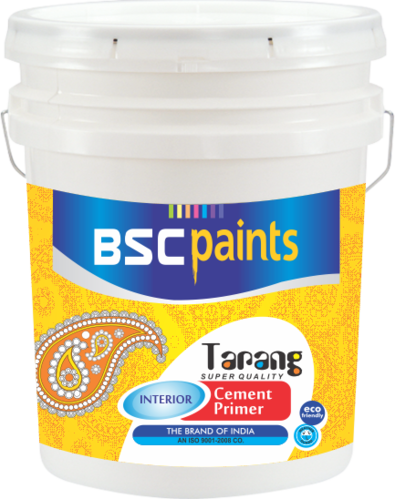 BSC Tarang Primer (Water Thinnable) is a water based wall primer that can be used in interior masonry surfaces. It has good whiteness, good coverage and flow and levelling properties. Backed by our rich industrial experience in this domain we are highly engaged in offering BSC White Primer that is solvent based undercoating & has an outstanding topcoat holding property, & excellent alkali resistance property, the offered primers are well processed in our advance processing unit by using finest quality chemicals and leading technology according to the set market standards. Our quality controllers test these primers on numerous quality parameters so as to deliver a flawless range. We are the prominent manufacturer and supplier of BSC Pink Wood Primer which is used to protect all exterior timber surfaces, the offered primer is perfectly processed with premium quality chemicals in adherence to market standards. This primer is provided in various quantities as per the need of our customers. Along with that, the offered primer is applied with roller & brush both for exterior & interior. 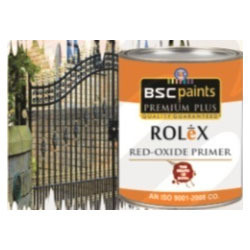 Keeping track with market development we are able to offer supreme quality BSC Red Oxide Primer. Suitable for use on ferrous and steel surfaces, the offered primers are processed by with top-notch quality chemicals and advance techniques as per the quality norms. Along with that, customers can avail the offered primers from us in seal packed options in various quantities at the most affordable range.